India and debutant Afghanistan, who earned their Test status last year in June, will square off in a one-off Test match series starting on June 14 at the M. Chinnaswamy Stadium in Bengaluru. While India sees this as a preparatory game for upcoming England tour, Afghanistan is confident of wrecking havoc. As a result, they have included five spinners in their squad to exploit the turning tracks in India. Spin will be their primary weapon against a star-studded batting line with Rashid Khan leading the pack. The 19-year old leg-spin sensation has been in excellent form in the recent past. Ace-spinner from war-torn Afghanistan, Rashid bagged 12 wickets in the series to derail Bangladesh from the T20I series. While Rashid has been on fire, Afghanistan’s offspinners – Mujeeb Ur Rahman and Mohammad Nabi – who played in the IPL too, also delivered the punch in the recently-held series. Along with these, they have also named Zahir Khan and left-arm spinner Hamza Hotak – who incidentally emerged as the leading wicket-taker in the recently concluded first-class competition. However, apart from the notable spin department, they have few weak links in the pace and batting department. 18-year-old pace sensation, Wafadar Momand will replace Dawlat Zadran, who will miss the Test due to an injury. Zadran has been their most experienced seamer, and it will be a blow for the side. Skipper Asghar Stanikzai is their most experienced batsman, who has a good defence. His form with the bat will be crucial to Afghanistan against a world-class bowling unit. A lot will also depend on the aggressive wicket-keeper batsman, Mohammad Shahzad to unsettle Indian bowlers with his powerful hitting. Otherwise, they have an inexperienced batting unit which will keep them worried. On the other hand, India will be without their regular skipper Virat Kohli, who misses out due to a neck injury. Vice-captain, Ajinkya Rahane will take over the role and will have a task in hand against a confident Afghanistan side. However, this will likely to affect their chances, as they have a star-studded batting unit. It will be a good opportunity for the likes of Murali Vijay, Shikhar Dhawan, and KL Rahul to test their form ahead of the important England tour. While Vijay had got minimal chances in the recently concluded IPL, Rahul was in stupendous form. He shattered all the bowling units to score the fastest fifty in the history of the tournament. He also finished as the third highest run-scorer in the league while Dhawan also had a good time with the bat. Although there will be a change in format, they will look to carry on the momentum. They also have packed middle-order with the likes of Cheteshwar Pujara, Rahane and Karun Nair. Pujara has been in good form in the County Cricket while Rahane has struggled a bit with the bat. He will be eager to lead the team from the front scoring some runs. Meanwhile, it will be a great opportunity for Karun Nair to make a mark at the international stage. However, Dinesh Karthik will slot in place regular wicket-keeper Wriddhiman Saha, who is out with a thumb injury. It will be a great opportunity for Karthik, who has been in good touch. They also have a brilliant bowling unit with Ravichandran Ashwin and Ravindra Jadeja taking the onus back. Jasprit Bumrah and Bhuvneshwar Kumar, who were a part of the squad for the Test series in South Africa have been given a rest with the selectors opting to add Shardul Thakur and an extra spinner in Kuldeep to the squad. The squad also has experienced Mohammad Shami, Umesh Yadav, and Ishant Sharma, who have done a terrific job over the years. Although Ishant has a slight niggle, he is likely to get fit ahead of the Test. Meanwhile, it will be an absolute cracker of a game with India going with an upper hand. Chinnaswamy is known to be high scoring ground with an average first innings score of over 350. However, as the game progress, the cracks start to appear on the deck, and it assists the spinners. As a result, the average score in the fourth innings comes down to as low as 183. Therefore, the spinners will come late in the game which will keep both the camps excited. Both India and Afghanistan have some quality spinners in their ranks, and they are likely to decide the fate of the game. Meanwhile, in 22 matches played so far at this venue, the team batting first has won eight times with nine matches finishing without a result. The teams from Asia haven’t faced each other in the longest format of the game, as Afghanistan will be playing their maiden Test. However, they had squared against each other in the white-ball cricket, both in ODIs and T20Is. However, India clearly dominated the proceedings with two out of two wins in the shortest format. India had also defeated Afghanistan by a clear margin in the single ODIs they have played. 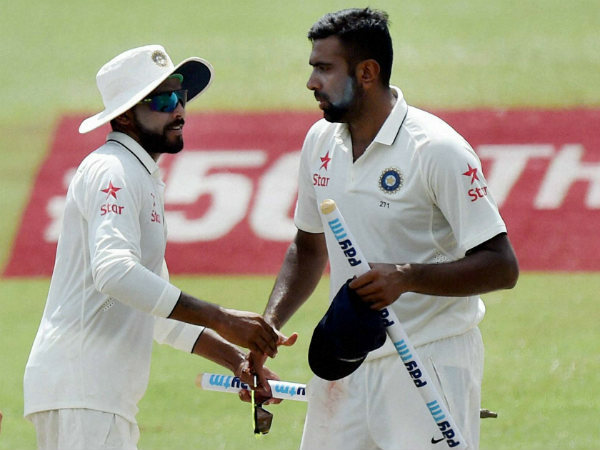 India will come from the back of the limited-overs series win against South Africa after losing the Test series. On the other hand, the Afghans are also coming from their debut T20 series win against Bangladesh a few days back. Cricket Advisory Committee Likely To Appoint National Selectors As Well!